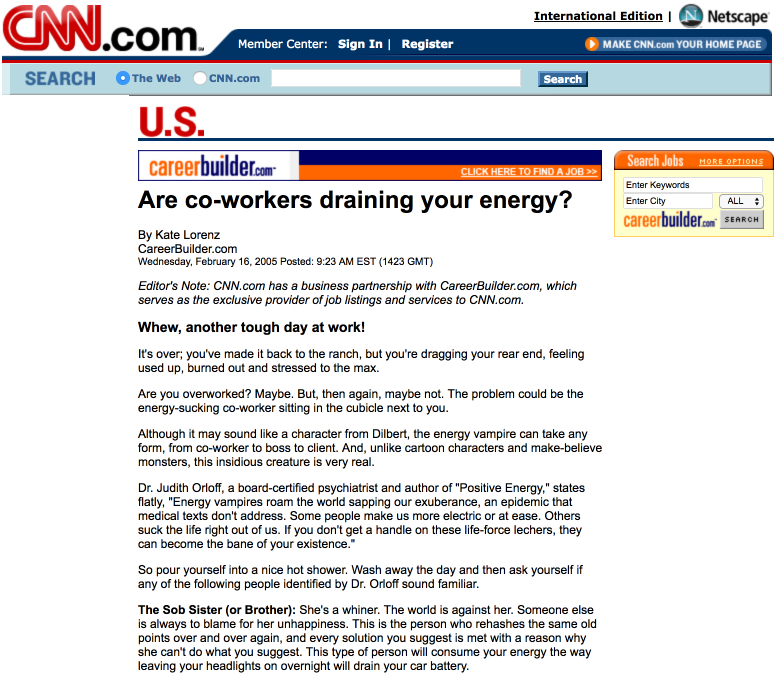 CNN.com: Are co-workers draining your energy? In my private psychiatric practice, I’ve seen that relationships at work are a huge source of stress for many of my patients. From the negative co-worker who believes the world is against him, to the drama queen who feeds off of workplace chaos, to the constant talker who is only concerned with himself and his stories, the work environment is a vibrant playground for social and emotional interactions. The main cause of energy drain in many people is from their work relationships. For empaths and other highly sensitive people, this can be especially difficult since empaths absorb the stresses and emotions of others directly into their own bodies. 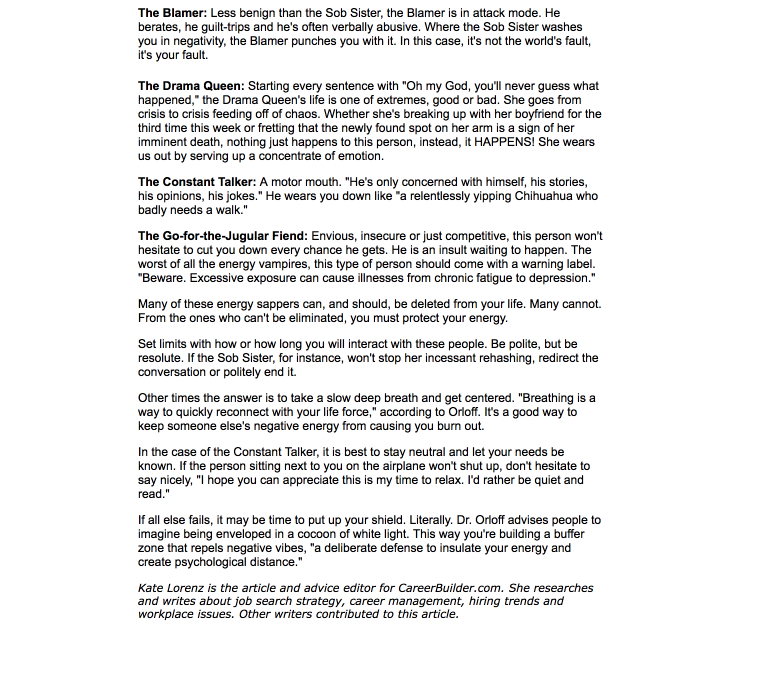 Many of these energy sappers can be deleted from your life. But when they can’t be eliminated, it’s important to protect your energy. In this CNN.com article, I share how to set limits when interacting with energy suckers. Read the full article on CNN.com here.